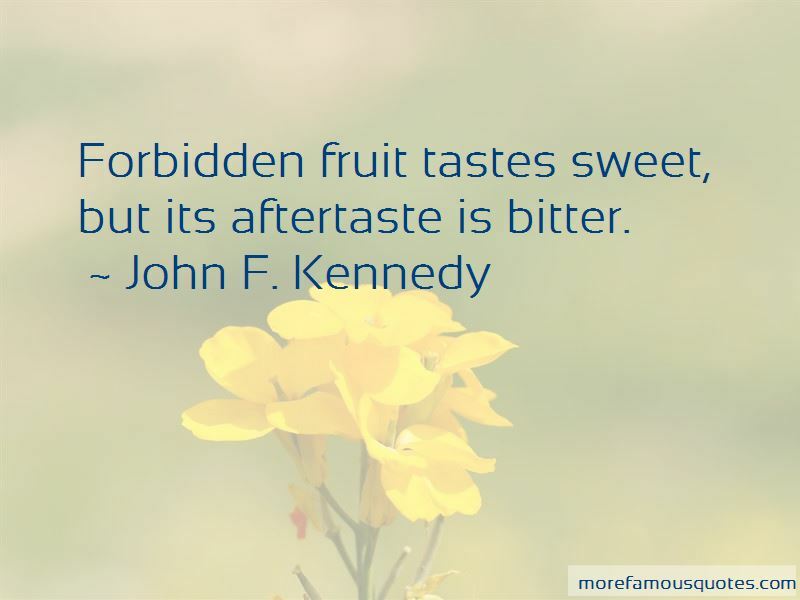 Enjoy reading and share 36 famous quotes about Aftertaste with everyone. “She sipped the tonic. Her face puckered again. She gagged, covered her mouth and mumbled in disgust, "Oh my God!" "I said it tasted better, not great." Abby continued to force the sour tonic down in sips. She could taste a hint of vanilla but the potion left a bitter aftertaste that was similar to vinegar. Her stomach gurgled and burned. "Water," she coughed after her last sip of tonic. "No. You'll dilute it," Noel said firmly, relieving her of the glass. “I tensed, waiting for the fury - both his and mine - but it was only quiet and calm in the darkness of his room. I could almost taste the sweetness of reunion in the air, a separate fragrance from the perfume of his breath; the emptiness when we were apart left its own bitter aftertaste, something I didn't consciously notice until it was removed. 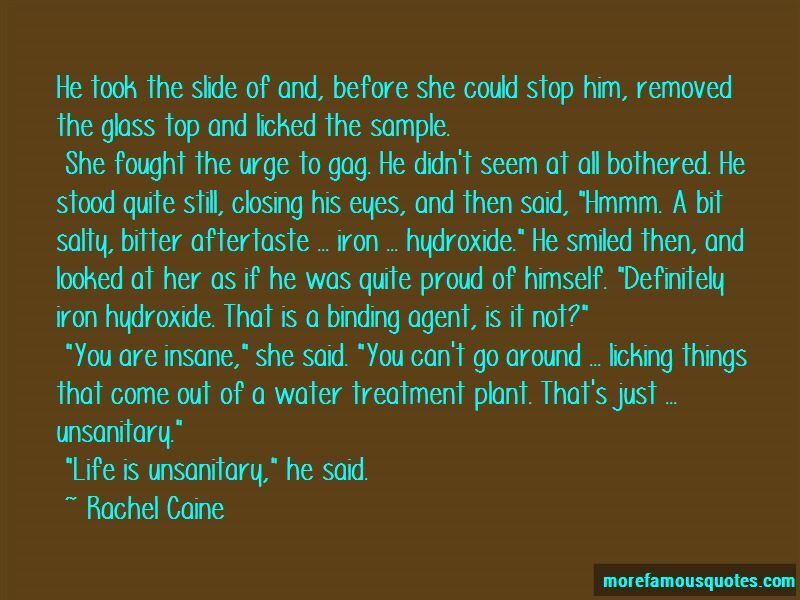 “He took the slide of and, before she could stop him, removed the glass top and licked the sample. She fought the urge to gag. He didn't seem at all bothered. He stood quite still, closing his eyes, and then said, "Hmmm. A bit salty, bitter aftertaste ... iron ... hydroxide." He smiled then, and looked at her as if he was quite proud of himself. "Definitely iron hydroxide. That is a binding agent, is it not?" "You are insane," she said. "You can't go around ... licking things that come out of a water treatment plant. That's just ... unsanitary." Want to see more pictures of Aftertaste quotes? Click on image of Aftertaste quotes to view full size.